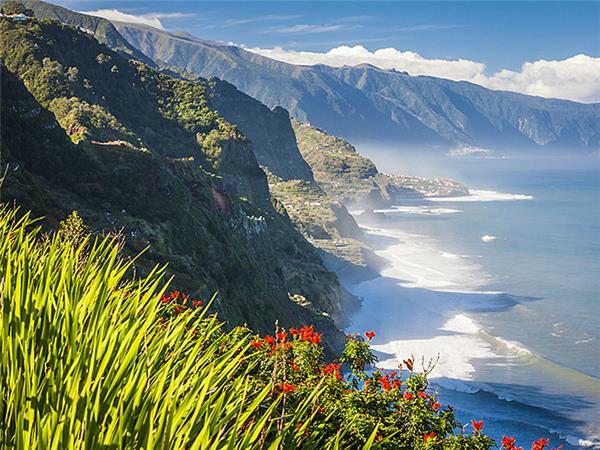 Driving to the North Coast of Madeira is getting ready for some beautiful scenery. Tall waves crashing into basaltic rock. Lush, green forests on seemingly vertical slopes. Waterfalls crashing down. Ancient paths and roads perilously carved in the mountainside. Well we thought pictures speak more than words. 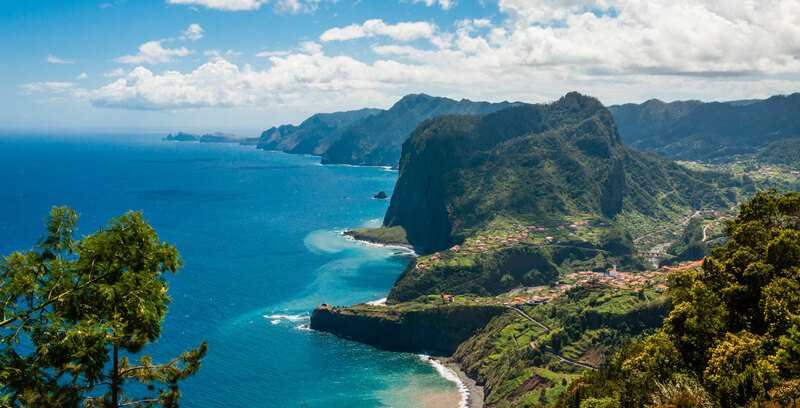 History has been very kind and neutral to this beautiful part of Madeira. 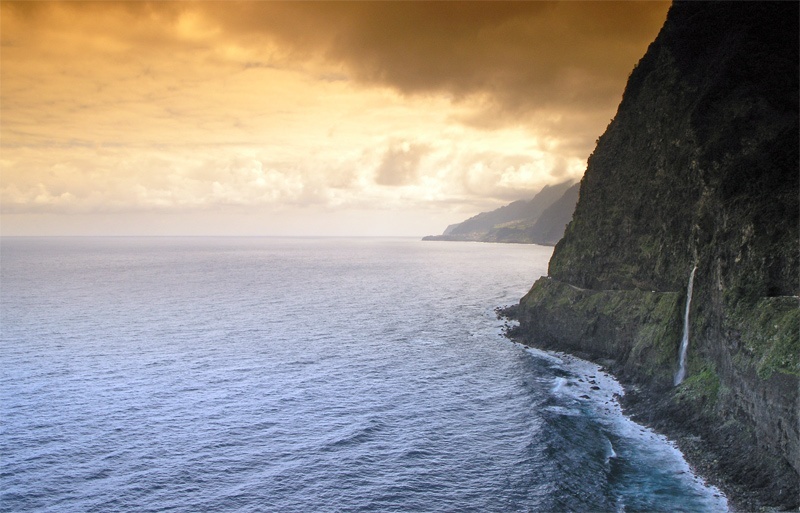 The Northern Coast is the best place to see how Madeira formed from vulcanic activity. Sometimes it feels like the lava just settled down (no worries, there’s no longer any seismic activity). 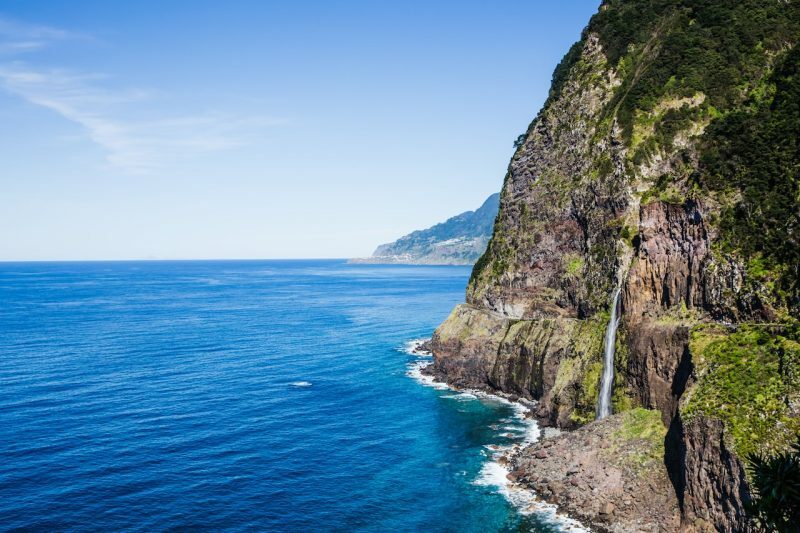 If you are visiting Madeira as a nature lover, looking for authenticity, Laurisilva or the unbeaten track, you will understand why we recommend this side of the island. If you are a lover of shopping, nightlife, and glamour, don’t even think about the North Coast. An infamous road, called Estrada Regional 101 (ER101), was historically the only road linking the center of the North Coast (Sao Vicente) with the Northwest (Porto Moniz). The ancient route, better known as Antiga, is arguably the most beautiful on the island. All adjectives which apply to the coastline, also apply to the road: curvy, narrow, rugged, old, but also scenic, spectacular, and breathtaking. Today the old road to and from Porto Moniz is closed for traffic but you can still hike on portions of it. Various waterfalls come crashing down and sparkle in the sunshine. Along some stretches the hillside has collapsed onto the road, making it unuseable for vehicles nowadays. Do not hike on the road during rainy or windy weather. Rockfall is abundant. If you are disappointed not being able to access the road with your rental car, you’ll love to hear this. To still get the same sensations of driving a coastal cliff road, you can still drive the stretch of Antiga starting in Ponta Delgada and ending in Boaventura. You will get a concentrate of ancient tunnels, cobblestones, narrow passages, steep cliffs, and beautiful viewpoints on a 2km stretch.